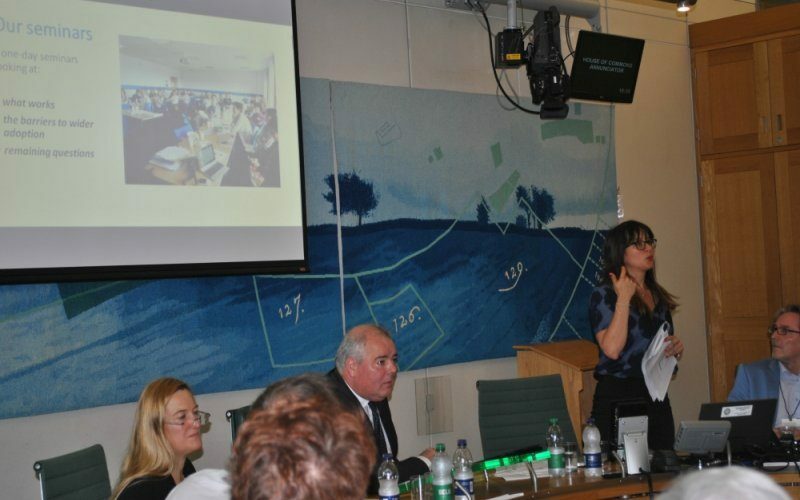 LSE London, UKCN and the ESRC Seminar Series partners launched their final report ‘Cohousing: Shared Futures’ in Parliament on the 22 June. Hosted by Richard Bacon MP, the launch began with a moving and fitting tribute to Jo Cox MP, by Helen Jarvis, board member of UKCN. Tragically murdered last week, Jo had been invited to speak at the event because of her inspirational work with the co-operative Hermitage Community Moorings in Wapping. Based on the main findings of a two-year knowledge-exchange programme carried out in partnership with UKCN involving cohousing practitioners and academics, it calls for local government to make more land available at an affordable cost so that groups can set up cohousing communities more easily. It also calls for central government not just to provide housing but to build a cultural framework to enable people to do it themselves. The report also calls for lenders to work with the sector to improve the financial products available to cohousing communities and to exchange knowledge about what they require from the groups. Stephen Hill, Chair of UKCN, said ‘we are truly grateful to the ESRC and the wonderful team of researchers in CollaborativeHousing.net, as well as all the seminar participants’. ‘We hope we have distilled some useful ideas and insights in this report’. The launch followed directly from the sixth and final seminar in the project series on 21 June on ‘Mainstreaming cohousing in urban development–barriers to knowledge transfer’. A livestream from the day, and a video summarising our project and its core activities is available here. The presentation of findings by the academic team are also available here. The video ‘Collaborative Housing and Community Resilience’ is available here.